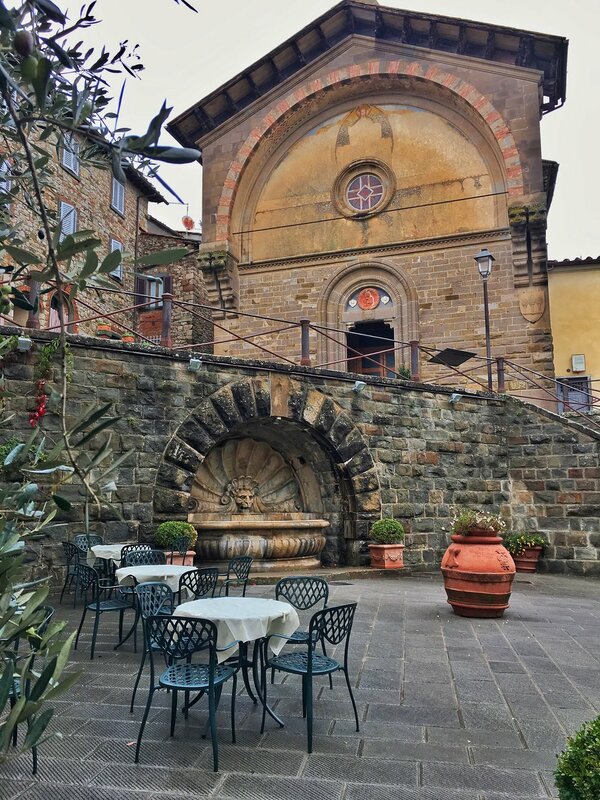 It’s no secret that Italy, and specifically Tuscany, is one of my favorite places to visit. In fact, I’ve traveled there more than any other country (including my husband’s home country of England) and it was the obvious choice for our wedding a few years ago (read more here). While I love Switzerland for it’s pristine beauty and well-maintained fairy tale villages, I love Italy for the exact opposite - it has a certain “crumbling charm”. It doesn’t matter if the buildings have seen better days, it has a natural beauty that still manages to take your breath away. As you approach the Tuscany region (our destination was just outside Siena - about a 6.5 hour drive from Luzern; longer if you have a 10-month old baby along for the ride), you really feel like you’ve entered a painting. 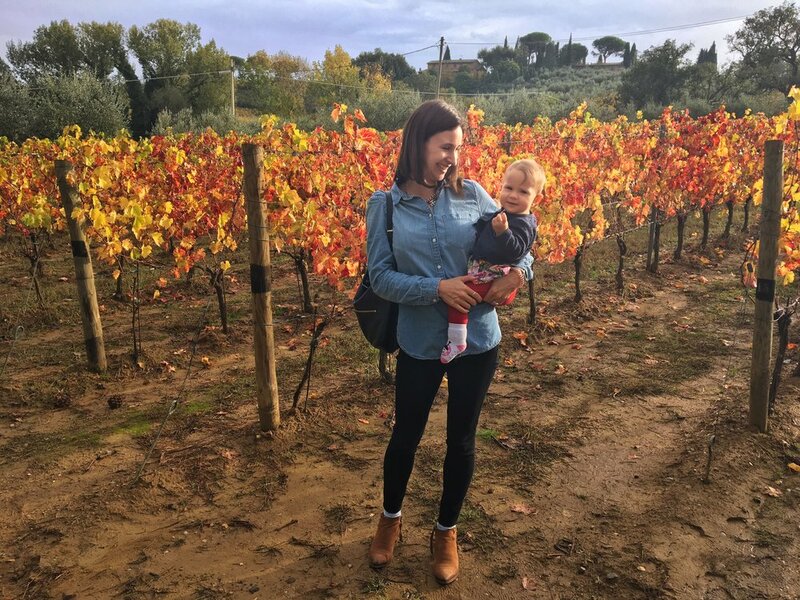 The rolling countryside becomes a patchwork quilt of vineyards, olive groves and cypress trees - especially beautiful this time of year as the leaves on the vines have all turned an amazing golden red color. Walled hilltop medieval villages perch high above in the distance and the occasional dilapidated villa beckons to you to quit your job NOW and open a B&B on a vineyard, a la “Under the Tuscan Sun” (I can dream right?). The place we stayed at, though, was the place of dreams. The view was seriously spectacular, despite the fact that it was cloudy and rainy the entire time we were there. 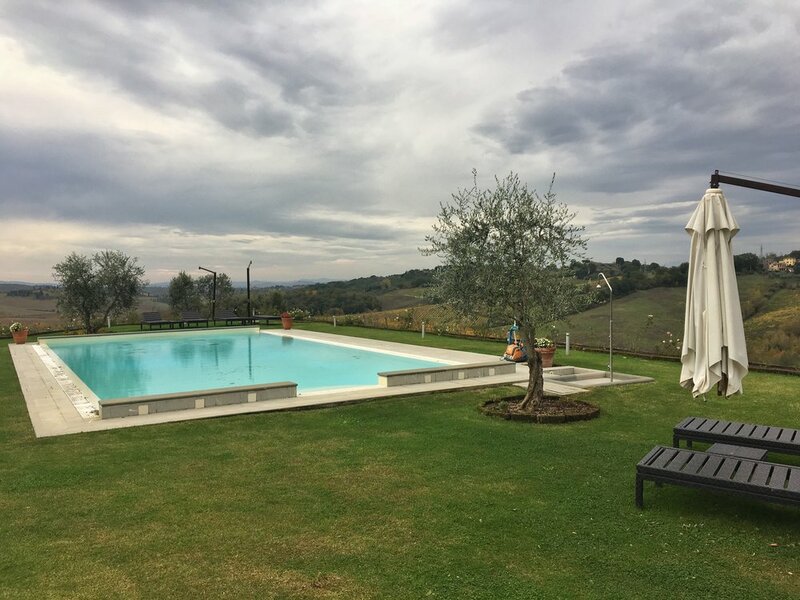 We spent 4 nights at Villa il Castagno and it was the perfect base for exploring the region - there was an infinity pool (which I would live at in summer), a private hot tub, an on-site restaurant (which we ate at every single night) and our own little cottage. We obviously had a small baby and they were super accommodating (and doting), providing a travel cot and even arranging her little pajamas and stuffed animals on her pillow when they cleaned the room each day - it was adorable. 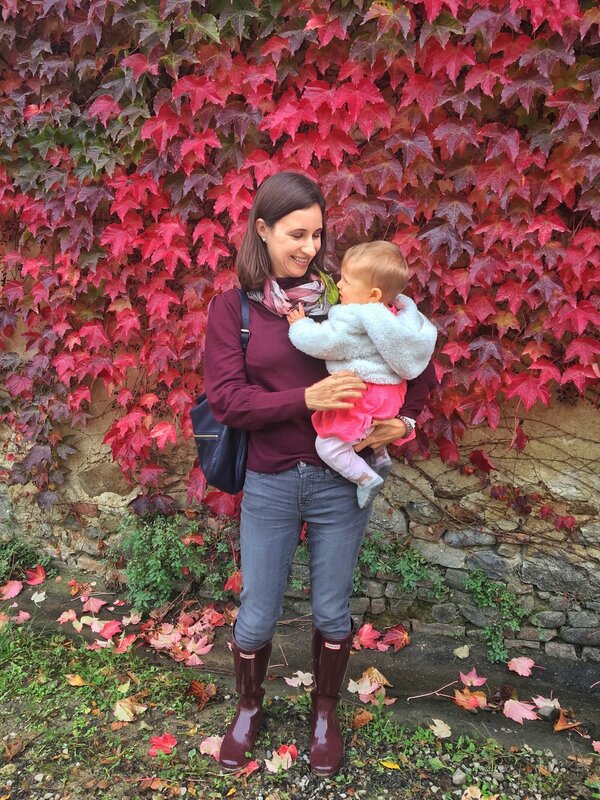 I’ve noticed before that Italians really do love children, which makes travelling there with a small baby so much easier. It was no issue to bring her to any restaurant and in fact the staff went out of their way to play games with her, provide special food and make her smile. 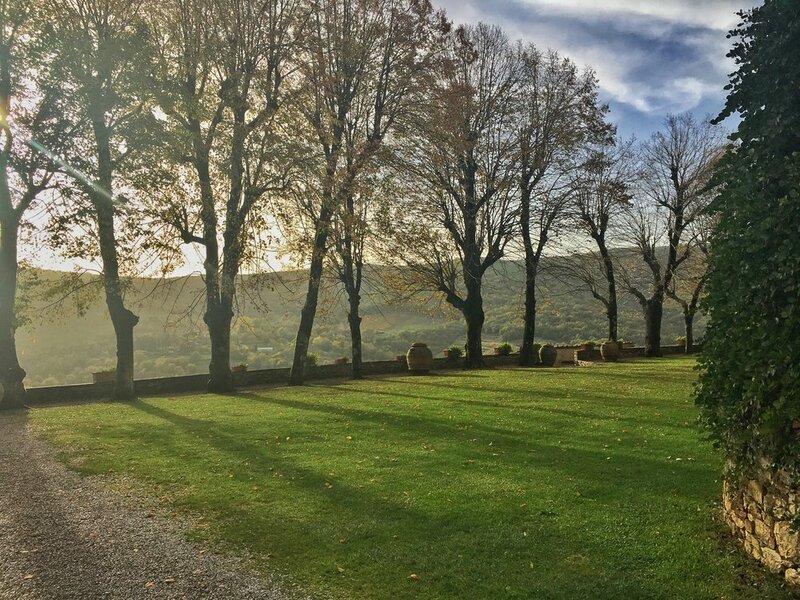 One of the main reasons we went back to this area was to re-visit our wedding venue, Castello di Meleto. It was SO NICE to see it again after three years, particularly with our daughter this time. Not only is the property beautiful, but they offer castle tours and wine tastings. We did our own little walking tour, snapped pictures of everything and then stocked up on a few bottles of wine and olive oil. You can’t go to this area without visiting more than one vineyard - we went to three: Pacina, Castello Poggiarello and Boscarelli. The first two I found by googling “bio dynamic / organic vineyards”, since I’m trying to drink more “clean” wines (without chemicals/additives/sulfates), which are better for me (no headache!) and the land. Both were really cool. Pacina had a very traditional, small family-run feel (the current owner is a 5th generation wine-maker at the property, which was an old monastery). We were given a tour of the vineyard, saw the fermentation and storage rooms and sampled their top wines. We left with several boxes. Next we went to Castello Poggiarello, which was an even smaller operation and basically my retirement fantasy: couple buys an old estate home, fixes it up, decides to plant vines, makes wine (initially for their own consumption), opens up some rooms for holiday guests, starts selling the wine, and now living THE DREAM. We had a private tour with the owner, learned about the estate history and sampled about five wines. It was one of the first wine tastings (and I’ve been to a lot), where I really enjoyed every single wine. Needless to say, we bought even more boxes. I also would seriously consider staying at their guest house the next time we’re in the area - in addition to the beautiful location and great wine, the owner often cooks dinner for guests using ingredients from her organic garden and game that her husband hunts. HEAVEN. 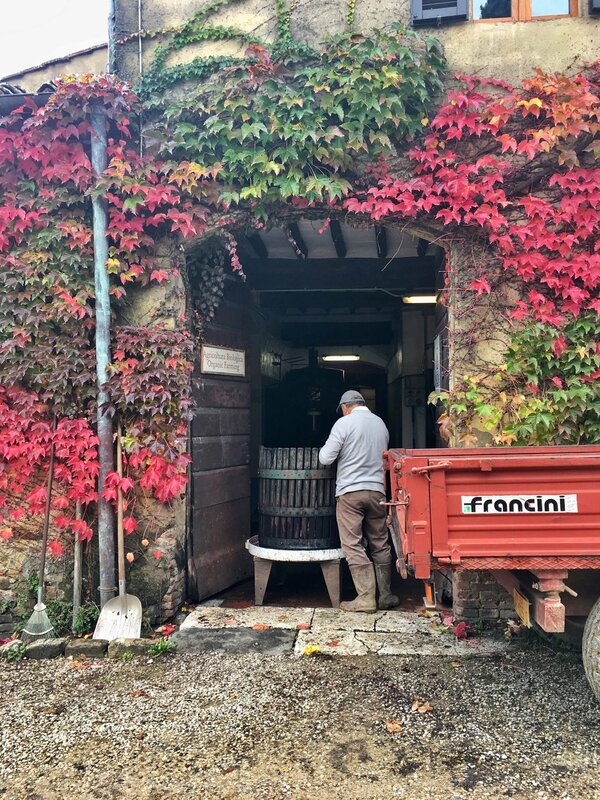 The last vineyard we visited is a personal favorite that we’ve gone to many times - Boscarelli, in the Montepulciano region (about an hour’s drive south of Siena). 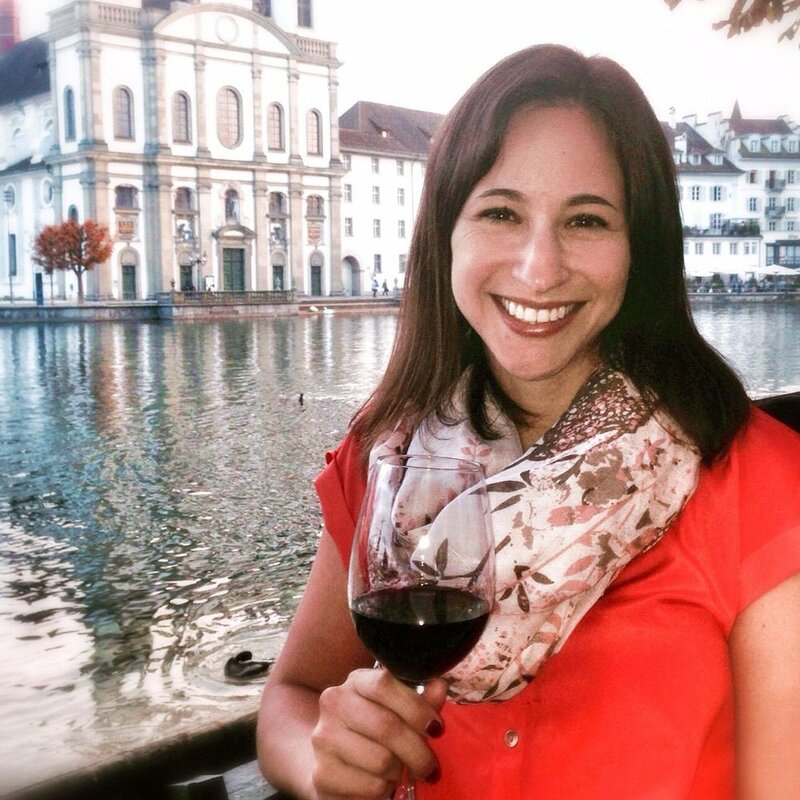 We first tasted their Ferrari wine in a restaurant in Switzerland and loved it so much that we knew we had to visit the vineyard when we were in the area. It’s our go-to wine (reasonable at EUR 10 a bottle) and tastes great either with or without food. We didn’t even bother with a tasting, but bought as many boxes as would fit in our already wine-filled car. 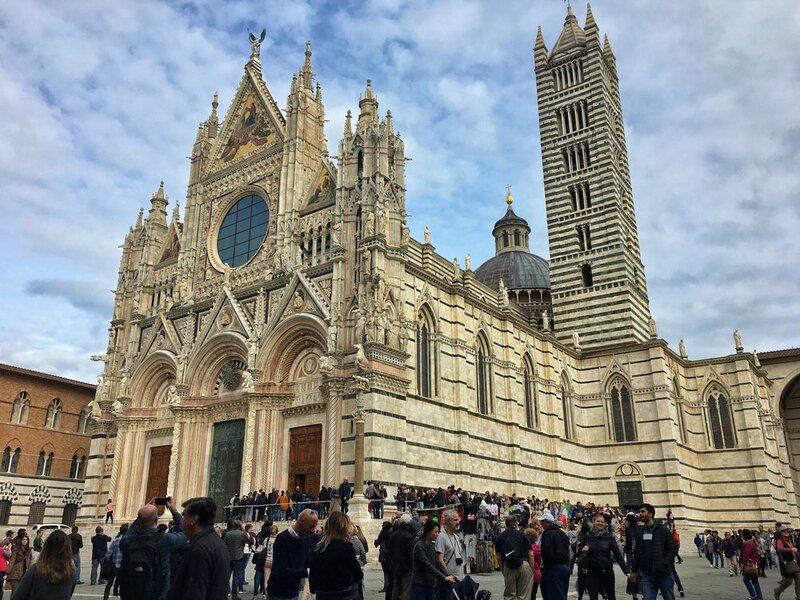 But we didn’t just taste wine, we also visited Siena (hello Duomo and il Campo!) and some of the nearby villages - Gaiole in Chianti (cute) and Radda in Chianti (super duper cute!). We ate more pasta than anyone ever needs to eat, drank a bottle of wine every night and enjoyed every minute. And through it all, our little 10-month old was a fantastic traveler - she spent way more time in the car than she’s used to, she ate all her meals in restaurants and charmed the locals by waving at every one she met (and clapping for all the dogs). I’m really hoping we can make it our family tradition to come back to this area every year!